As soon as I passed these shoes, they were on my feet within seconds. Not only are they super cute and stylish, they were comfy! And to top it off, they are an affordable buy from Kohl’s. At the time I was wearing skinny jeans which look great with these high heels. But they would also look amazing with a little black dress or an outfit at the office. I have to admit I’m not a big high heel gal – (for fear of falling & appearing super tall) but these shoes may be my training wheels to the high heel world! One of the best ways to add a pop of color or a unique element to your home is through lighting. Lighting not only accents your space, but creates a mood for your space. Whether it’s a colorful lamp shade or a unique base, lighting is ultimately what brings your room to life. The lamp shades and lamps that I found above are not just modern and chic, but add some flare to your space. I usually try to find a few unique and colorful elements to add to a room, rather than overdoing it. 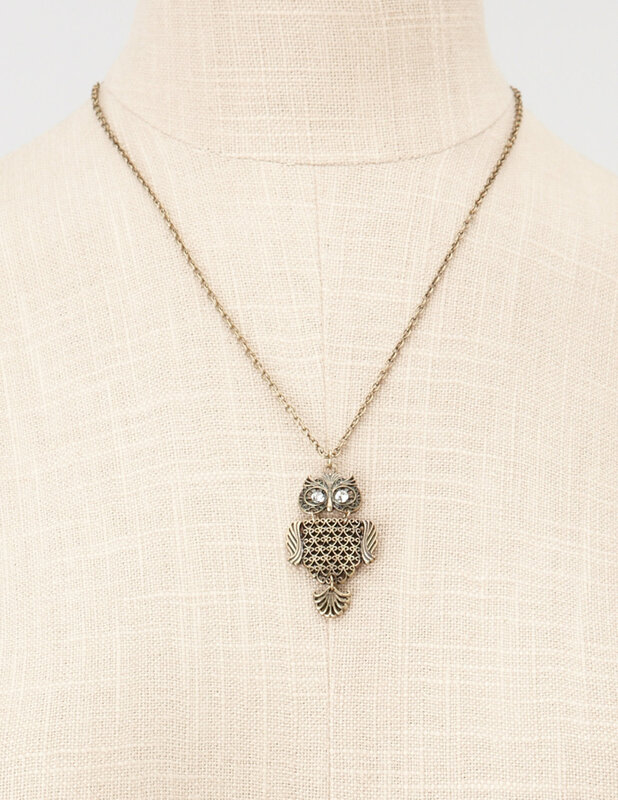 I was so excited to purchase this cute owl necklace for less than $10! This necklace, from Charlotte Russe, is such a great buy and is a cute accessory to any outfit. I plan to pair this with skinny jeans, a basic white tee and black blazer. For less than $10, Charlotte Russe has so many other affordable and trendy accessories that can make your outfit come together. Yesterday I came across a recipe that I could not pass up. 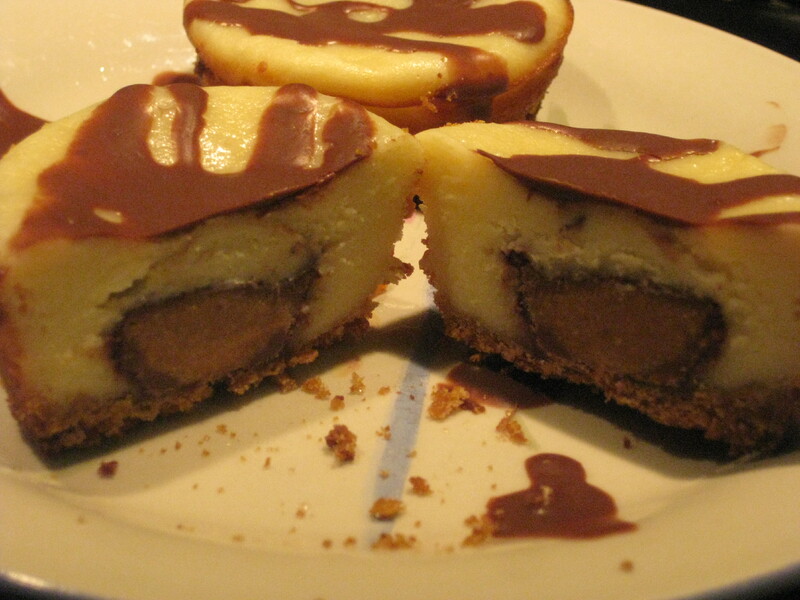 What is better than cheesecake that surrounds a mini peanut butter cup! As tempted as I was to try these as soon as they came out of the oven, I waited until this morning to indulge in one with my morning cup of joe. Although you could probably let them set in the fridge for just a few hours, I allowed one night just to be sure. This recipe is from the queen of southern cooking herself – Paula Deen. Surprisingly not too much butter! Not only are these great mini desserts to bring to a party, but they are yummy enough to want to keep them all to yourself! 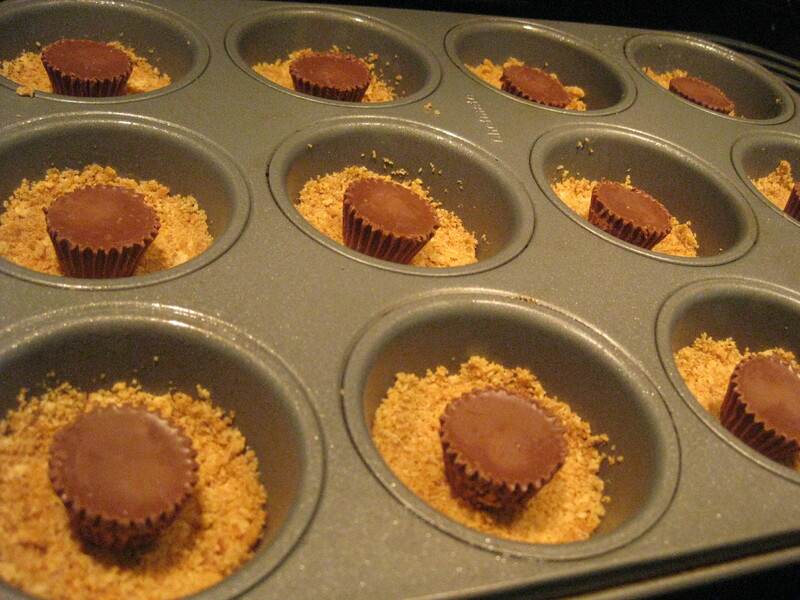 Below is the recipe I followed and a link to the recipe from the Food Network. 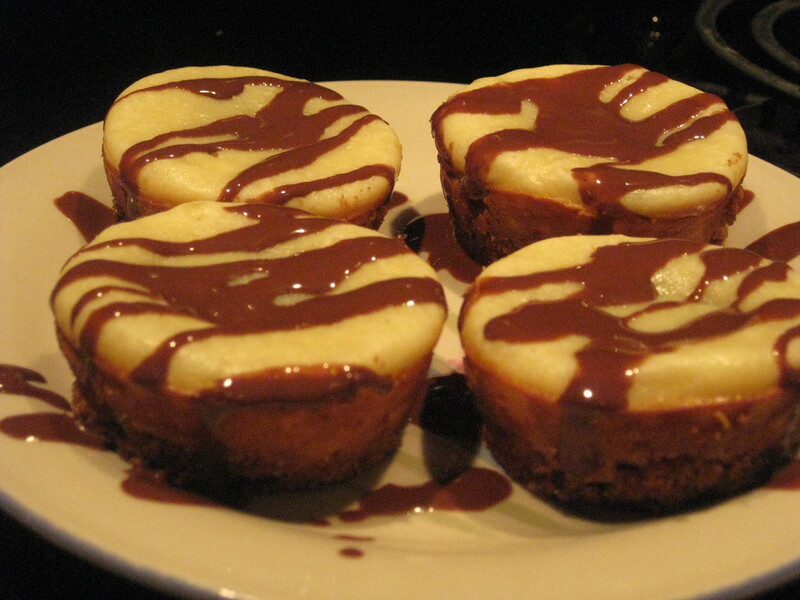 Afterwards, I drizzled a little chocolate Syrup (Hershey’s SHELL Topping) across each mini cheesecake and left in the fridge overnight…delicious!